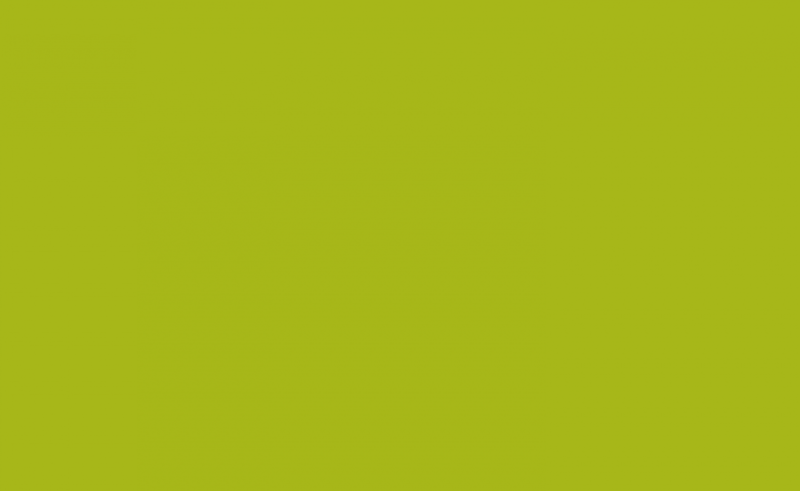 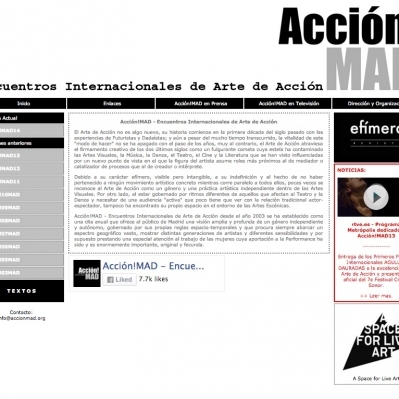 Acción!MAD, Madrid, Spain 2015 – 2017.
workshops on digital publishing and networking tools. 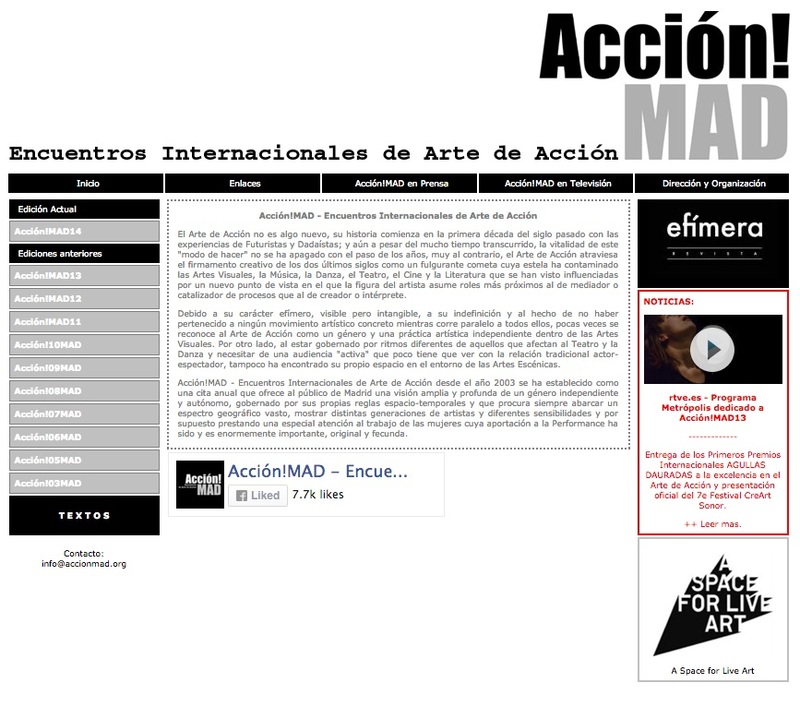 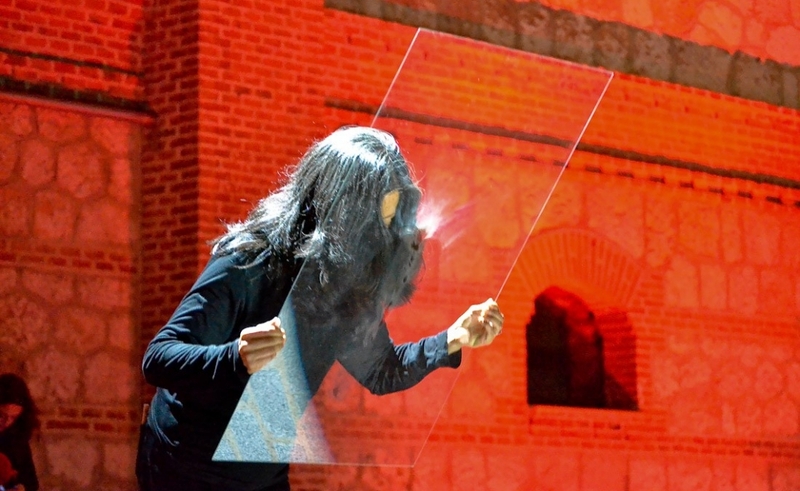 Acción!MAD is an independent platform that works on supporting the creation, dissemination and promotion of performance art in Spain. 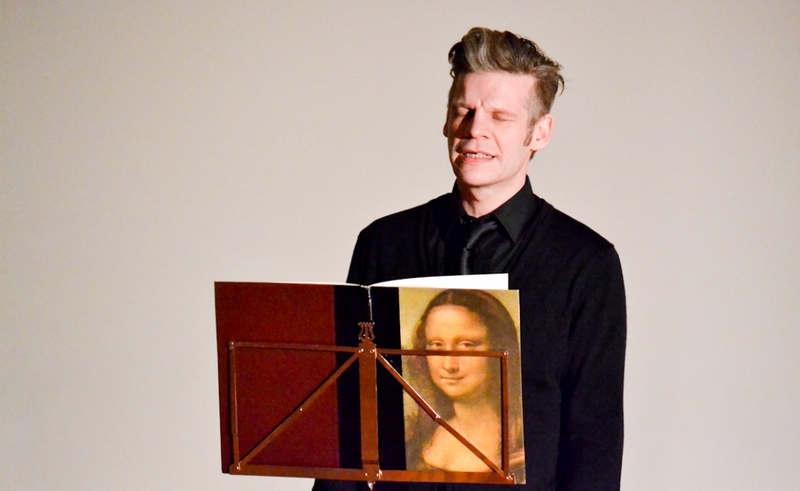 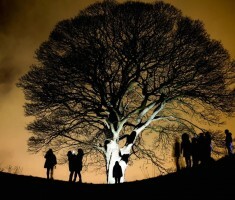 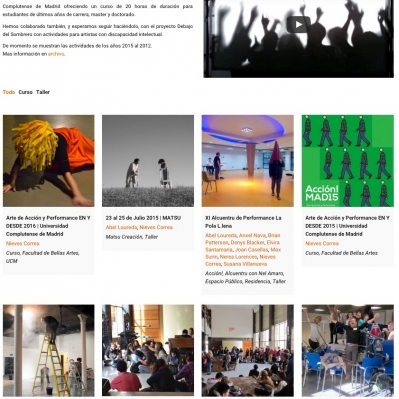 Organises meetings and festivals both nationally and internationally. 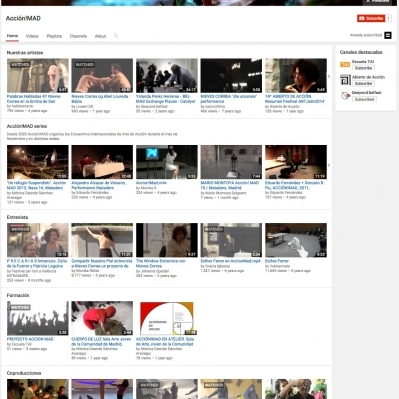 Conceptualises and develops educational programs, seminars, courses and workshops. 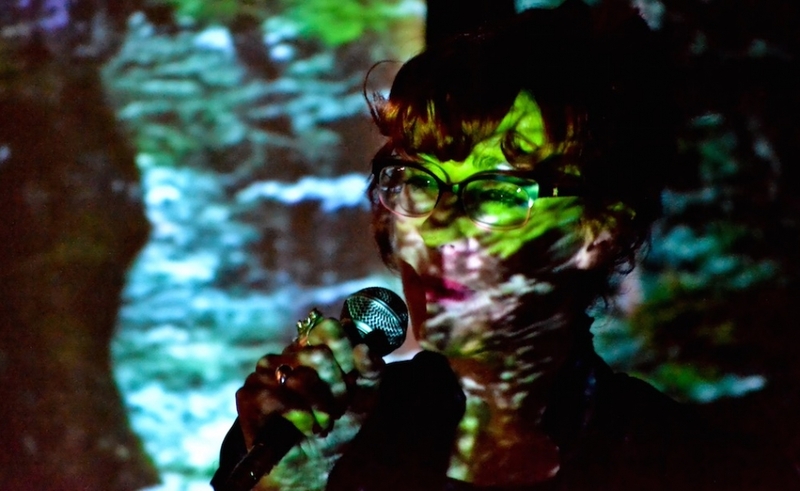 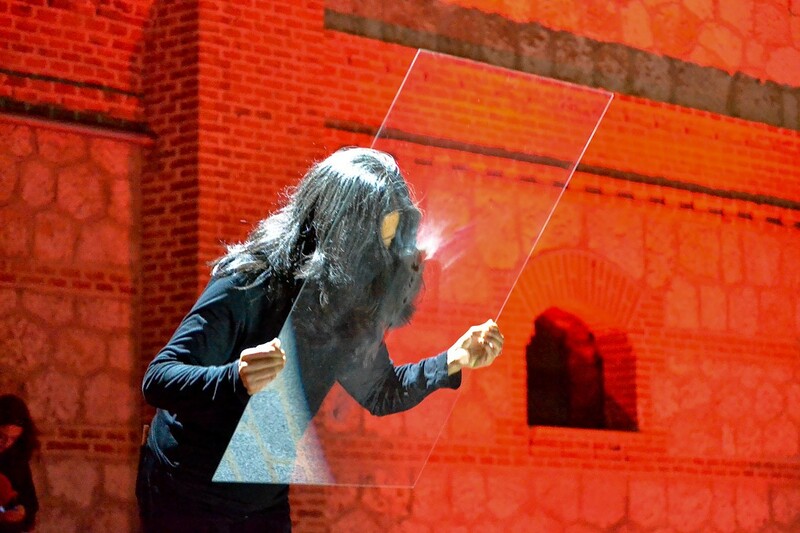 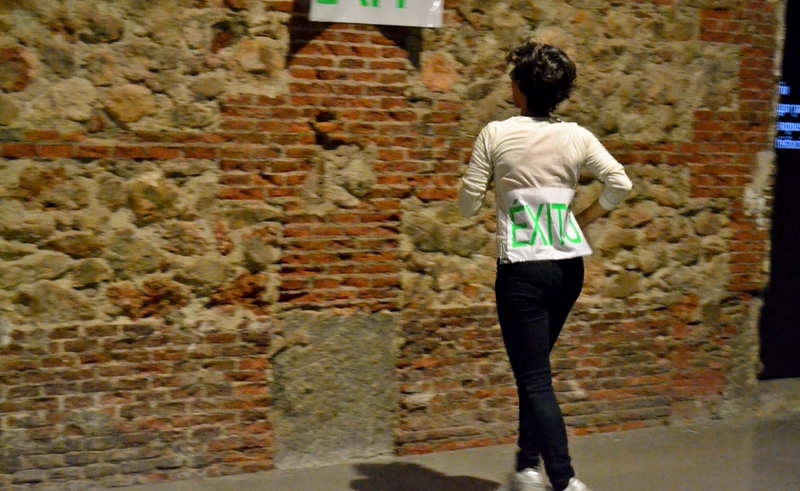 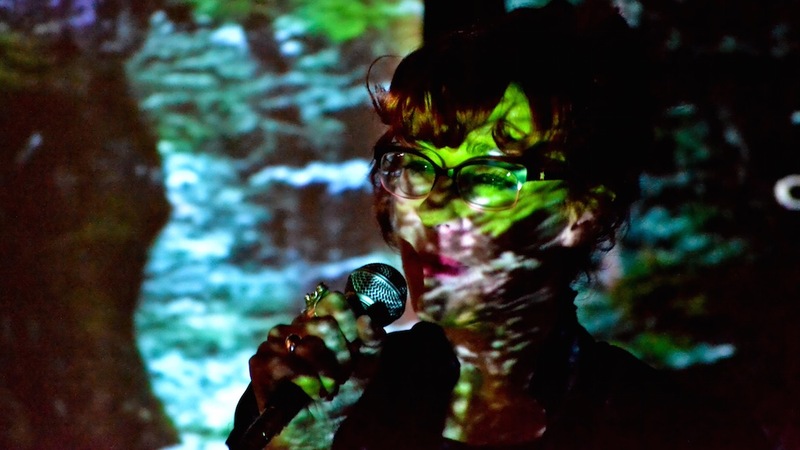 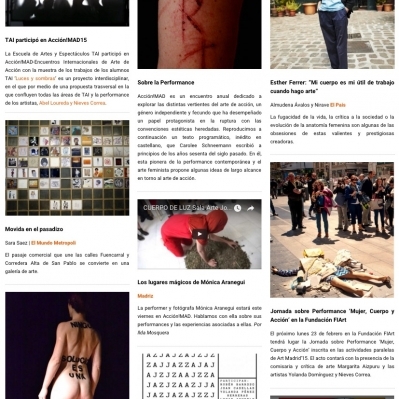 Produces publications, audiovisual editions and collaborates with international performance art networks. 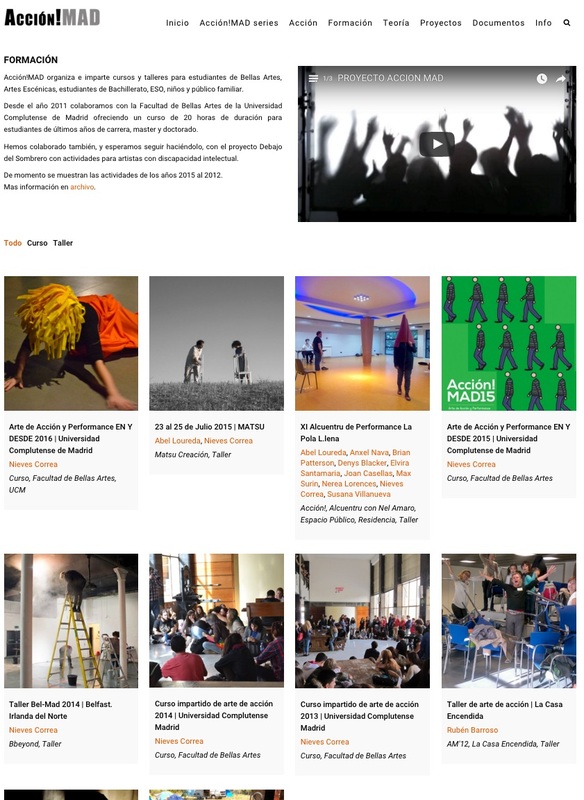 Festival organisation model transformed into agency model, where agency promotes its artists, gives more exposure to coproductions and educational activities. 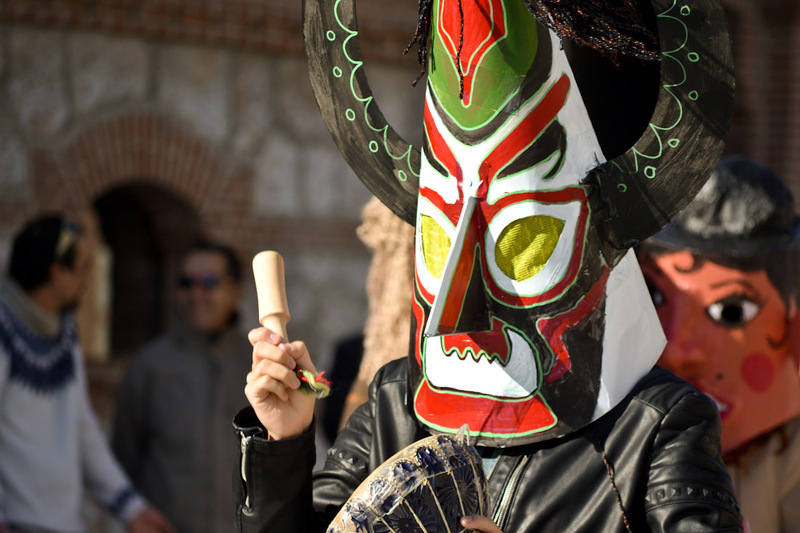 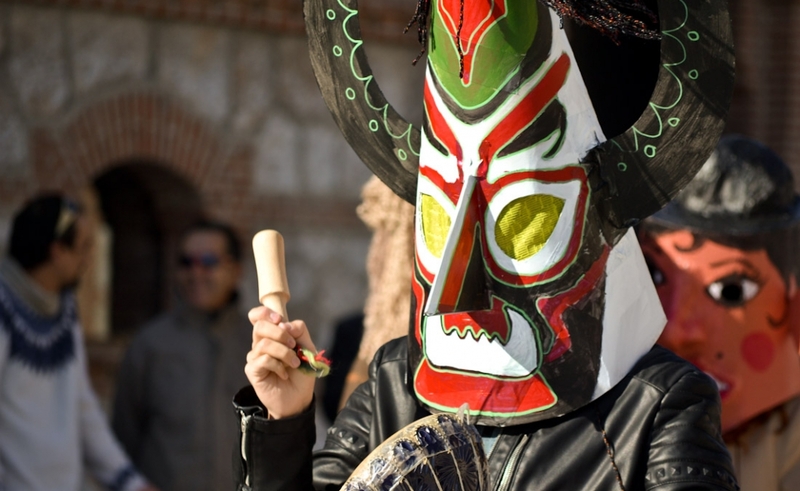 Events spread along the year and festival event transformed into events series. 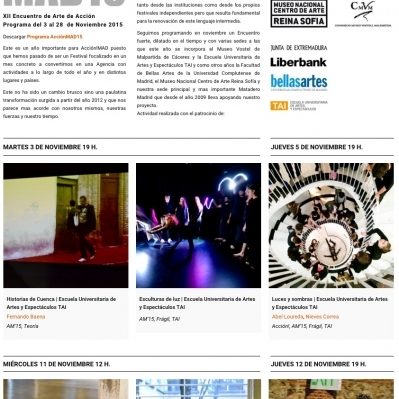 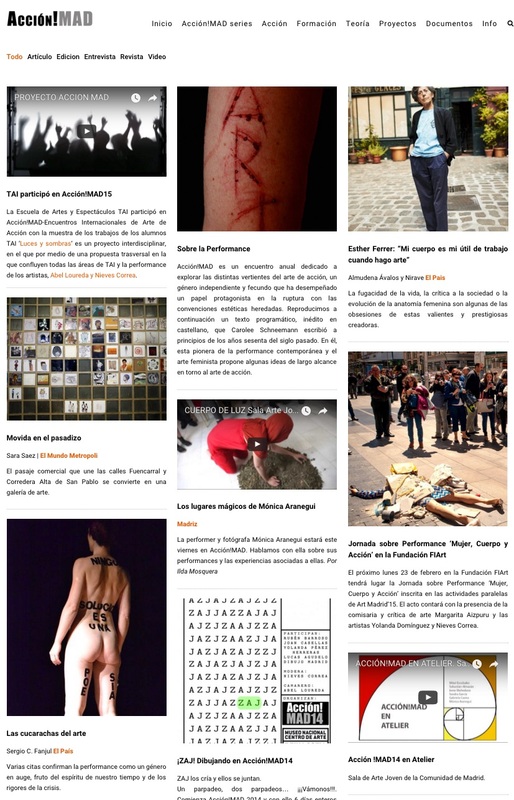 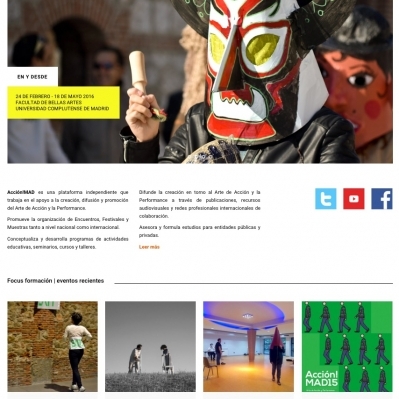 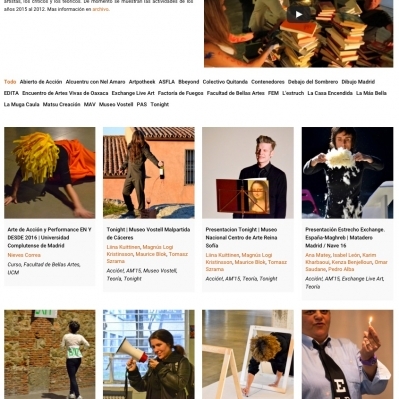 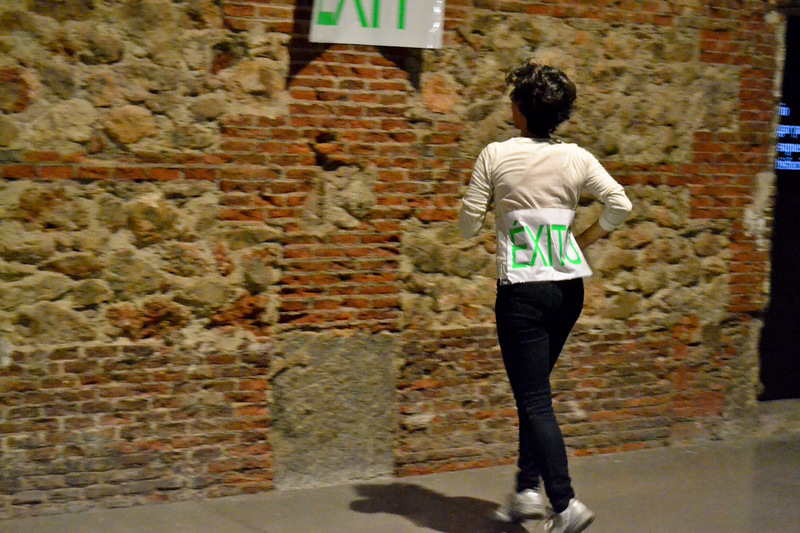 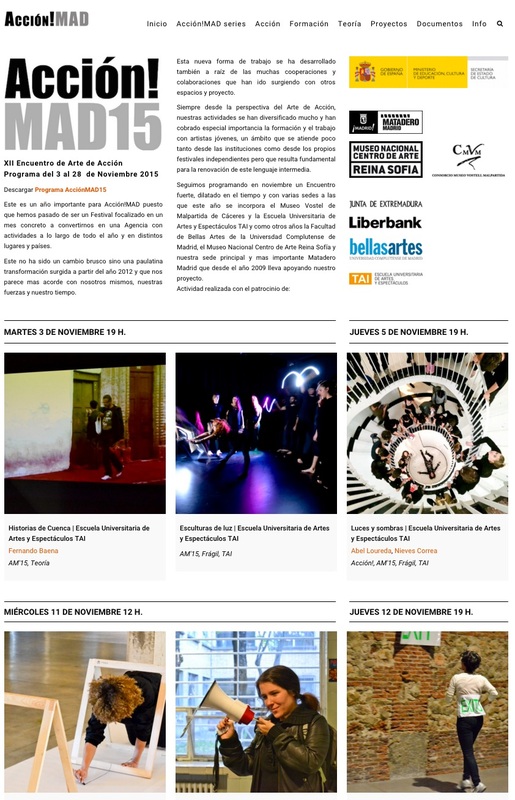 Contextualisation, research on digital publications related to Acción!MAD activities and artists. 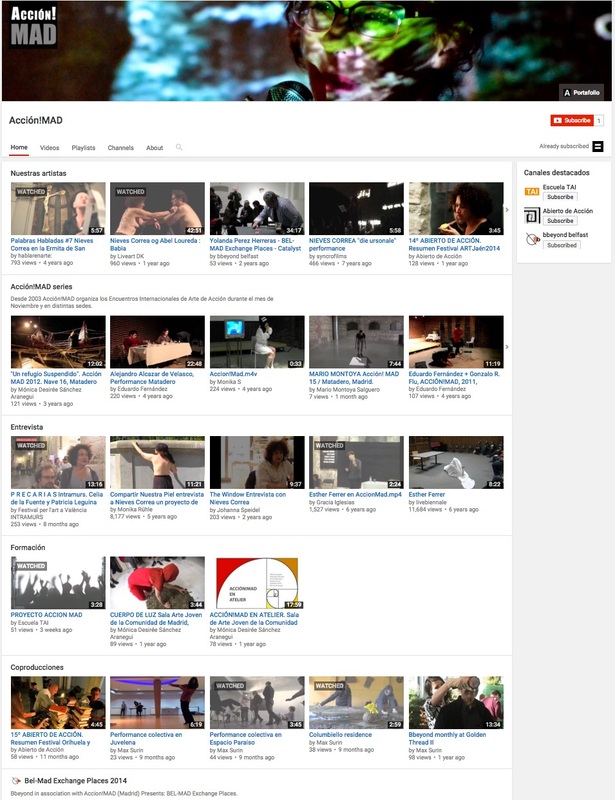 Video digitalisation and Youtube channel organisation. 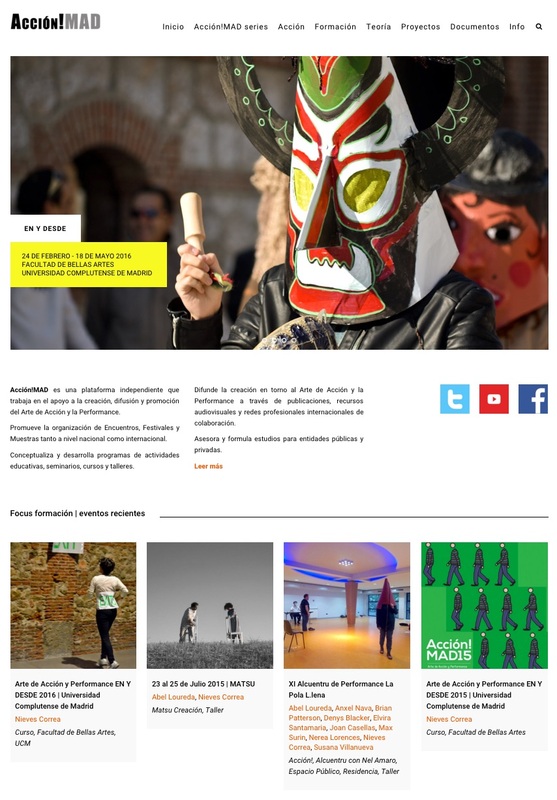 Platform will include artists profiles with portfolios of artworks. 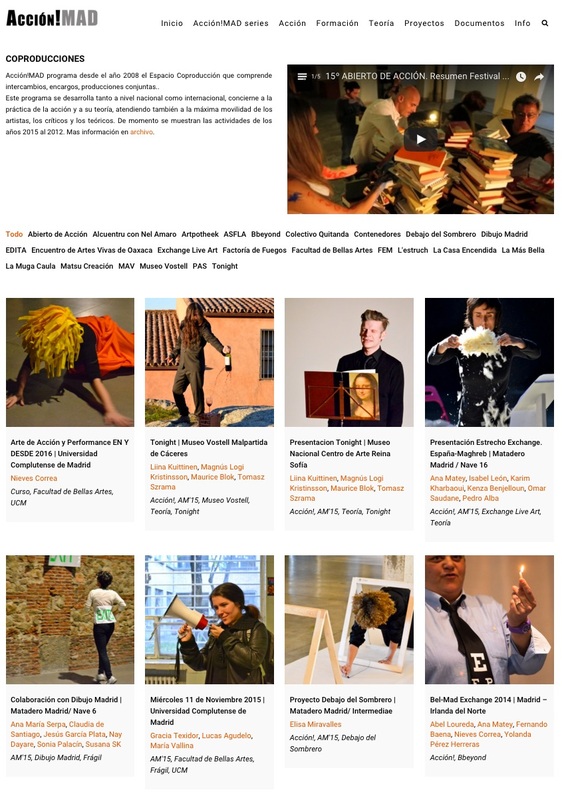 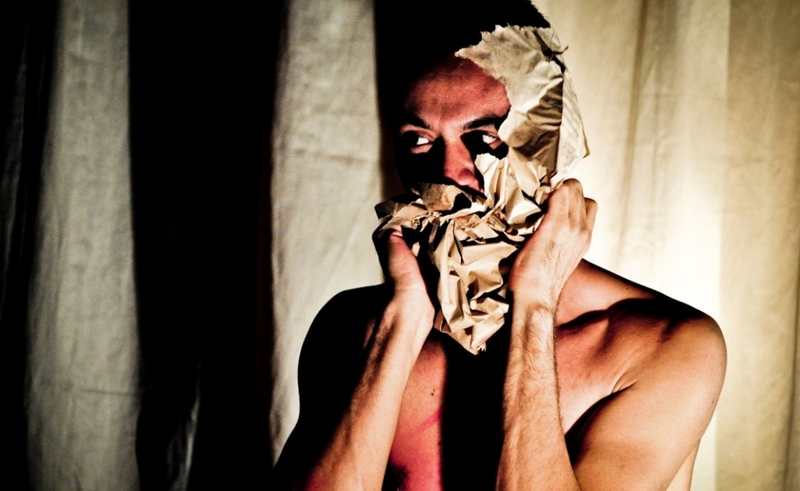 Potentially can be expanded into national networking platform with other partner performance art organisations.